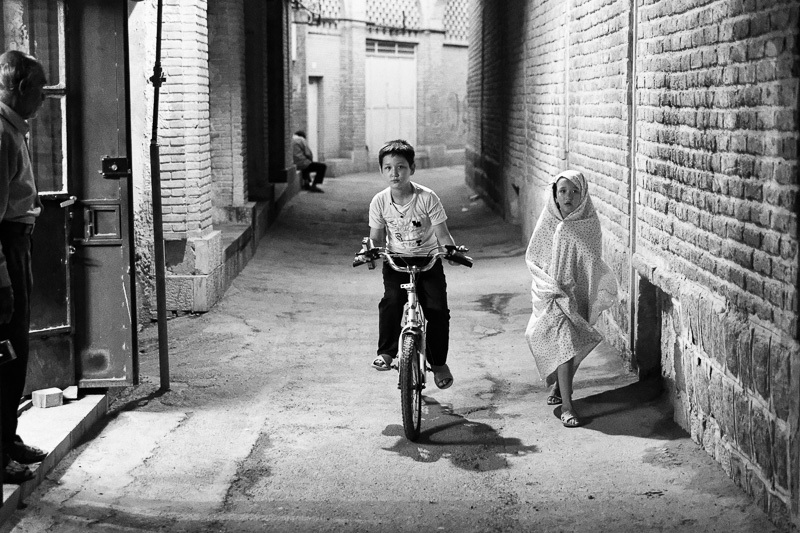 A boy rides a bicycle beside a girl walking down an alley as a shopkeeper looks on. In the background a man takes drugs. Photo taken on August 23, 2015 in Shiraz, Iran.